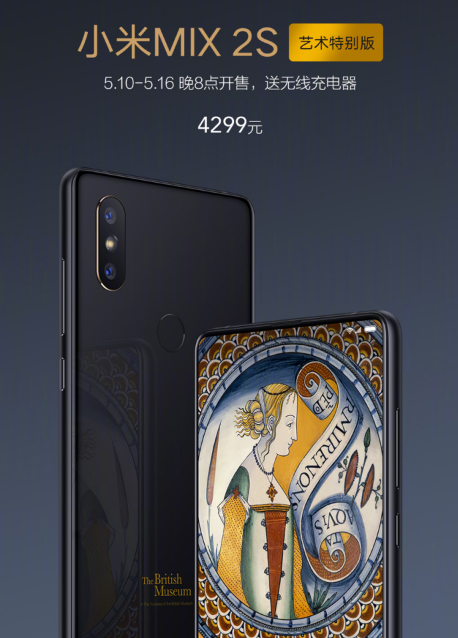 Xiaomi Mi MIX 2S Art Special Edition Launched for 4,299 Yuan in China - Playfuldroid! Yesterday, Xiaomi had teased through its official teased on its official Weibo account that it will be launching a new device today. 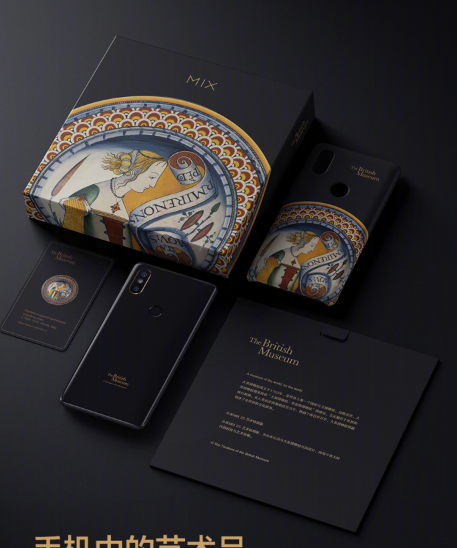 The Chinese manufacturer has introduced the Mi MIX 2S Air Special Edition that has been designed in collaboration with the British Museum. It offers the best of art and technology. 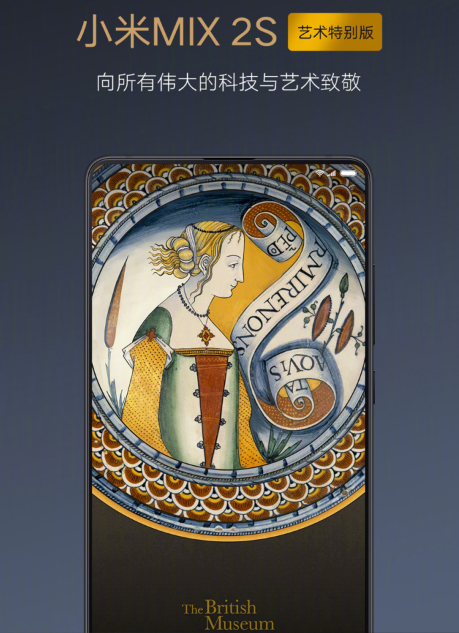 The design of the phone has been inspired by Majolica pottery. 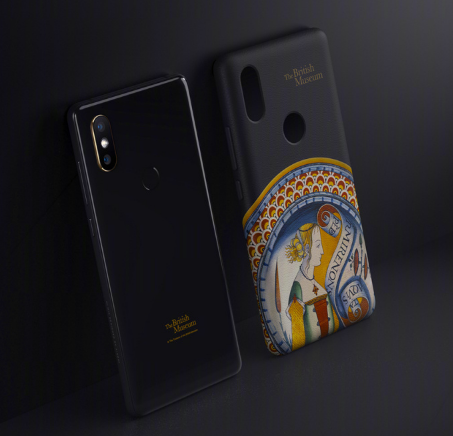 The logo of the British Museum is imprinted on the back panel of the special edition Mi MIX 2S. 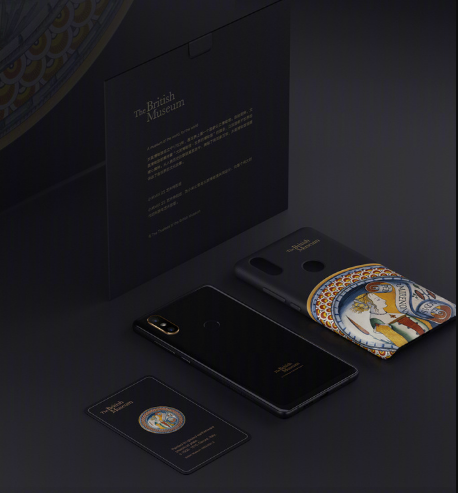 The new edition of the Mi MIX 2S comes with special protective case, exclusive themes and customized packaging. It features 8 GB of RAM, 256 Gb of native storage and AI dual cameras. The rest of the specs of the phone as the regular edition of the Mi MIX 2S. The Mi MIX 2S Art Special Edition will be available for buying between May 10 and May 16 with a price tag of 4,299 Yuan (~$675). Its buyers will be provided a with wireless charger. The handset comes in black color only. There is no confirmation on whether the limited edition will be made available outside of China.